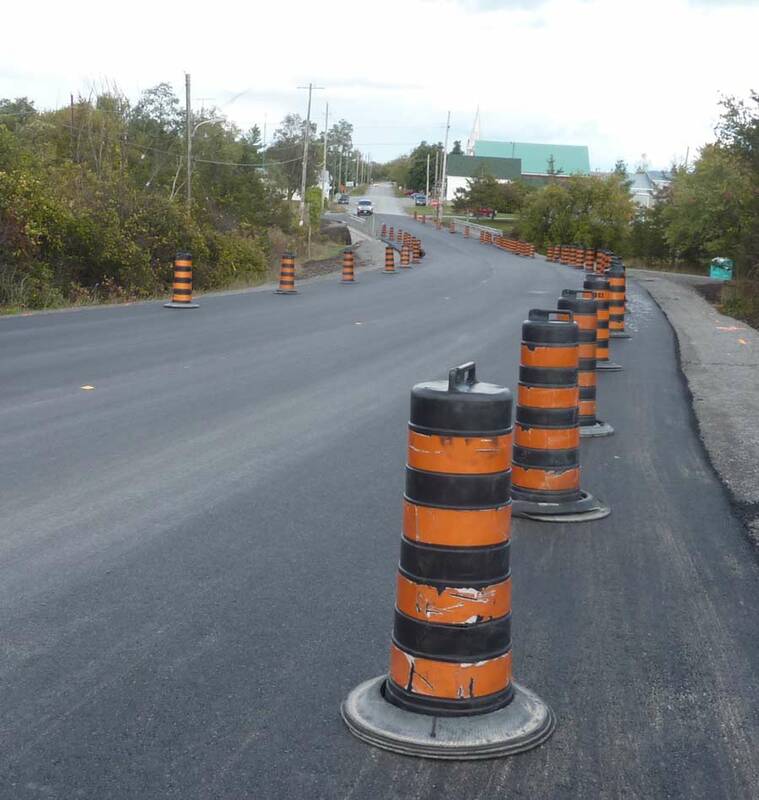 Fresh new asphalt is on the hill at last. 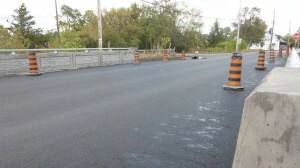 The new curve in the road is sleek and black and lines up with the new angle of the bridge. The pavement washes from railing to railing, setting off how much wider this new bridge than the one before. The concrete barriers are gone and now you can easily climb down under to see the waterfall. The railing is handsomer when seen without the concrete blocks in front. Its just one small village bridge, but it took three months of hard work to build, and much careful planning before the start, including an archaeological assessment of the site before a stone could be moved. The engineering specific to this span had to be completed, contractors lined up, a parade of big machines called in one after the other in the proper order without waste or overlap. The previous bridge was probably a century old and taxpayers fervently hope this one will last as long. We certainly won’t forget to appreciate the comfort every time we rumble across.